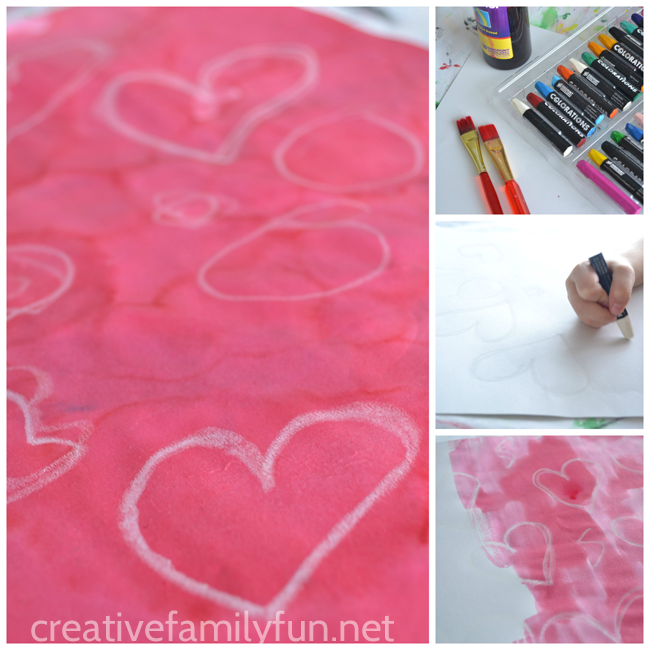 Every year, we tend to do a lot of craft projects leading up to Valentine’s Day. This year is no exception. I’ve got so many great ideas pinned to my Valentine’s Day Pinterest board, but for this project, I wanted to keep things simple. 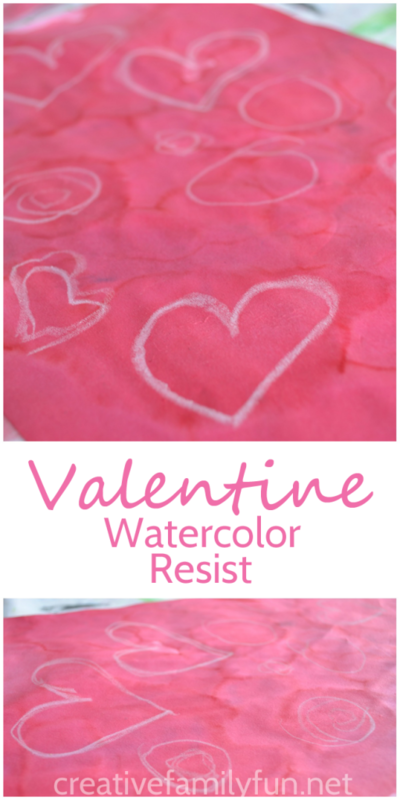 This Valentine watercolor resist art project was both open-ended and simple. When we were done, the final project was beautiful. You only need a few simple supplies to make this beautiful project. The process is easy and the results were stunning. 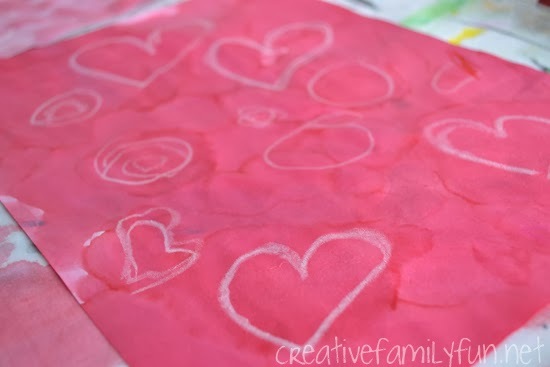 For the first step in the process, we used a white oil pastel to draw hearts, swirls, and other designs all over our paper. Of course, this led to a lot of questions about why we were using white crayon on white paper since you can’t see it that well. I promised that we would see the magic soon! 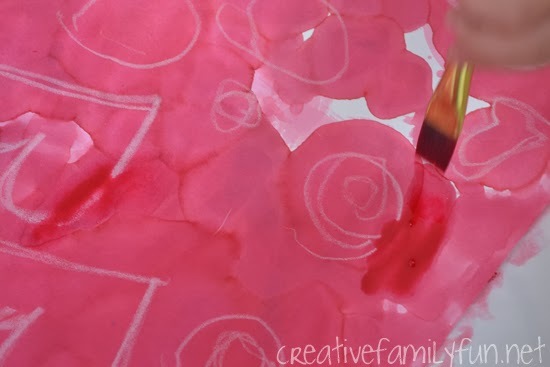 Once we finished our Valentine’s designs, we got our our red liquid watercolor paint to make the magic happen. I love using the liquid watercolor because the paints are so vibrant. 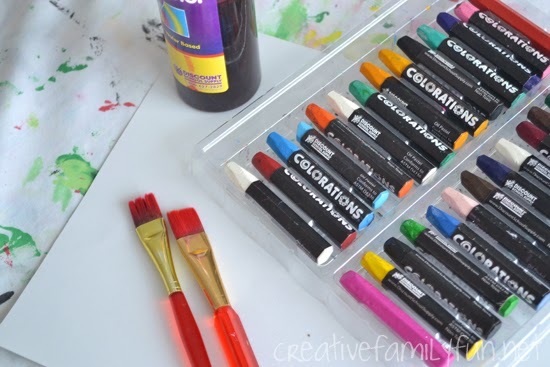 But, if you don’t have any liquid watercolor paint, you can also use a tray of regular watercolors. This is my favorite step of the whole process. It’s so much fun to see the hidden designs pop once you paint over them. We simply painted our entire paper red to get the full effect of our designs. 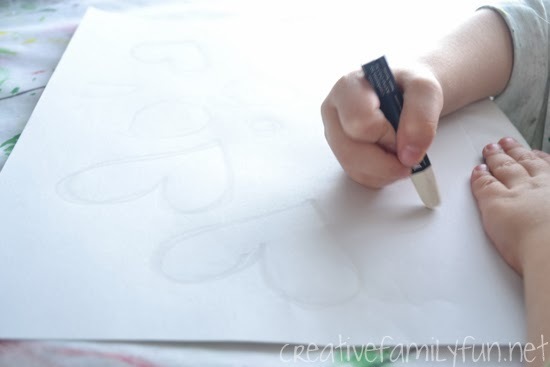 The end result is beautiful no matter if your child drew perfect hearts or random designs. My preschooler created the picture shown above. Isn’t it stunning!